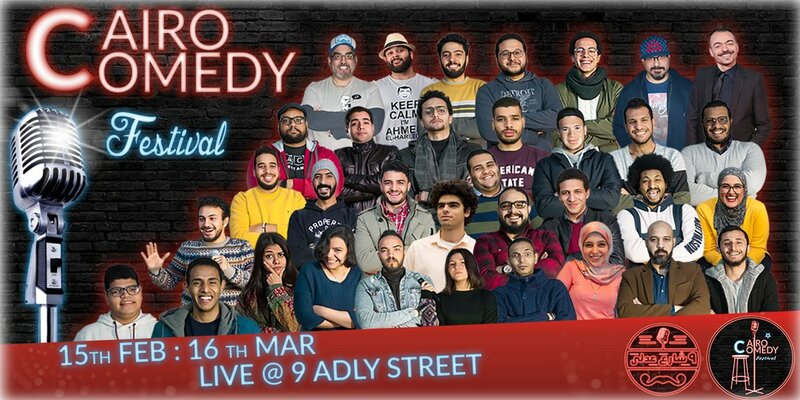 CAIRO COMEDY FESTIVAL is kicking off this year in the heart of the city Live at 9 Adly Street (Egypt's 1st Comedy Club) from 15th Feb. to 23rd Mar. featuring the town's finest comedians So, get ready for 14 nights full of laughter and humor. We bring you an awesome lineup of the best stand-up comedians featuring: Mostafa Abbas, Hossam Khalid, Waled Elmoghazy and Khalid Elshoky. We bring you an awesome lineup of the best stand-up comedians featuring: Mohamed Ashraf, Romario Anton, Radwa Gamal and Mohamed Elsharnoby. Don’t miss this hilarious amazing show! Come and invite your friends for spending unforgettable time!